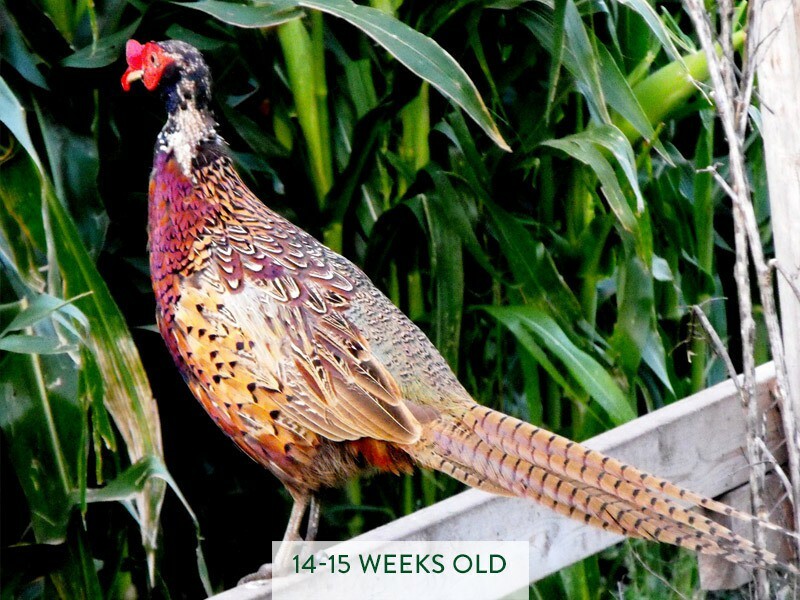 Our beautifully colored pheasants are available from day-old to adult. One thing that sets us apart from other producers is our ability to raise birds without blinders. With our large 2,600′ long flight pens full of thick cover, we are able to raise a flightier bird that performs amazing in the field. It is practically impossible to tell these are released birds. Our birds raised with blinders are great for those of you who aren’t as concerned about being as discreet with releasing birds. You still get a very “flighty” bird at a lower cost than our “toe clipped” roosters. 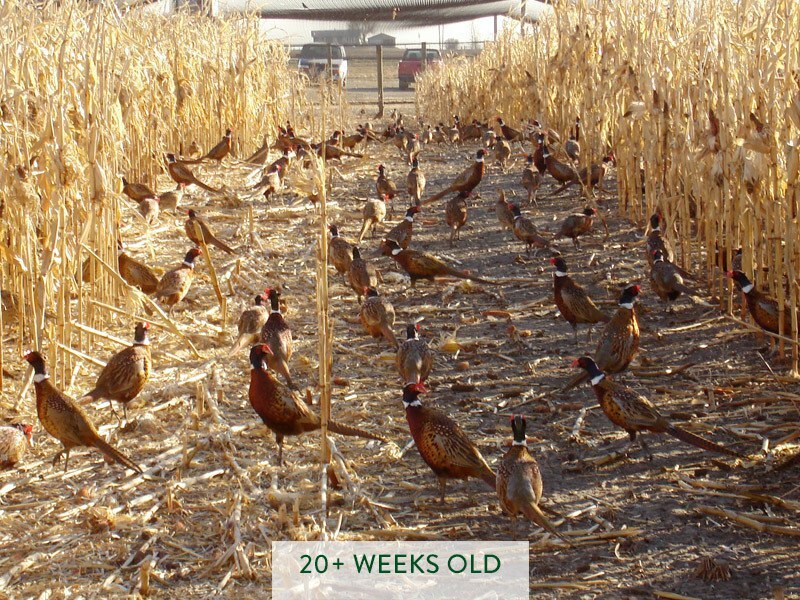 The perfect way to start your pheasant program. 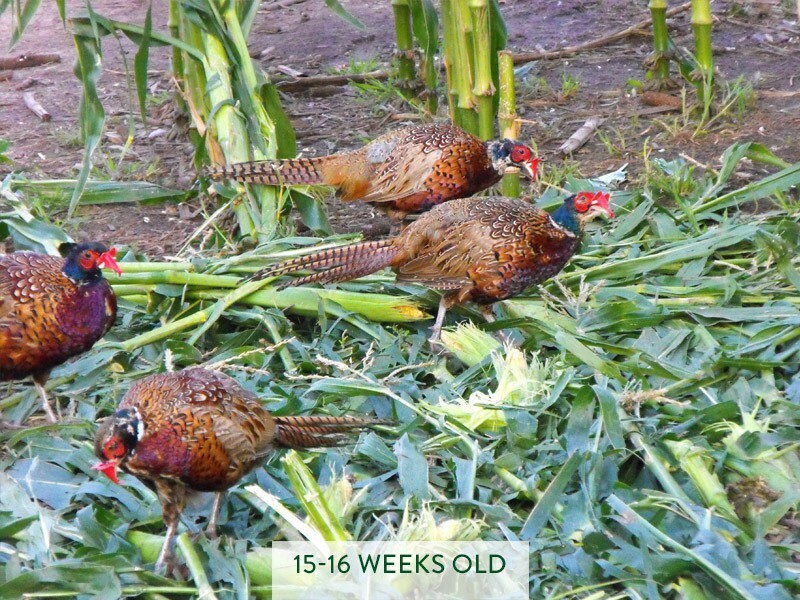 If you’re ready to get your pheasant-raising program started, or want to improve your program, these healthy, active chicks are not only the most economical way to do it, but the perfect way to begin. 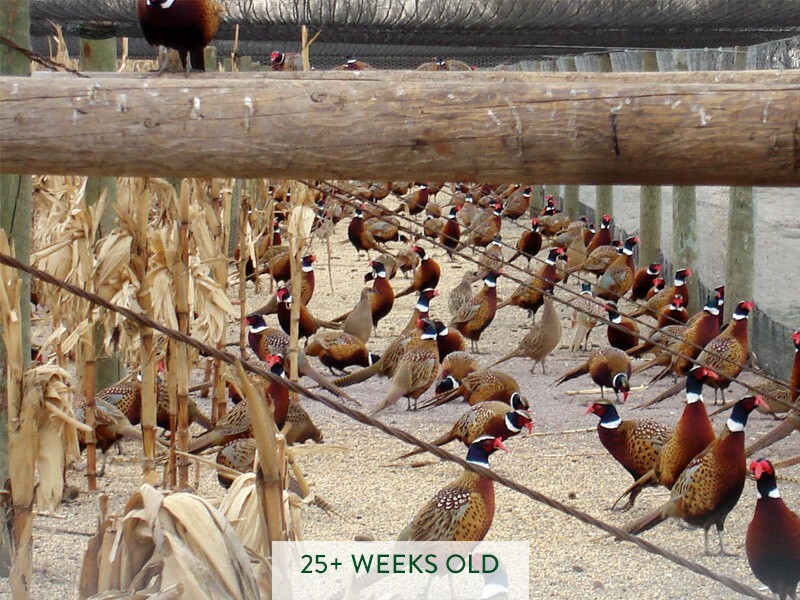 We take pride in the fact that our adult birds are the best release birds available and you can have the very same stock with these well-bred chicks. We hatch an average of 60,000 chicks every week on Mondays and select Thursdays, April through July. The chicks are ready the same day they hatch for delivery or pick-up. Our started birds are available for those who want to raise the birds on their own, but don’t have time to put into starting day old chicks. To accommodate your situation, we sell birds at any age. Started birds are available from 2 weeks to 15 weeks. They can be raised to release age with somewhat less expense than day-old chicks and less labor on your part. 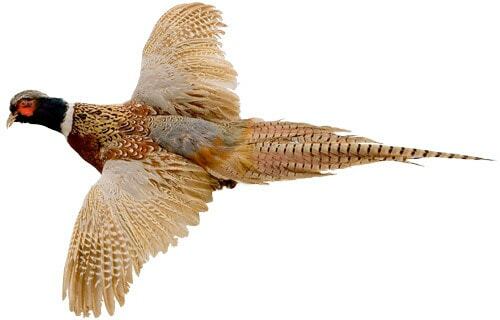 Ready-to-add to your pheasant hunting population this fall, we provide you a selection of the finest birds around. All the roosters at Gisi Pheasant Farms are beautifully colored, with some of the longest tail feathers around. 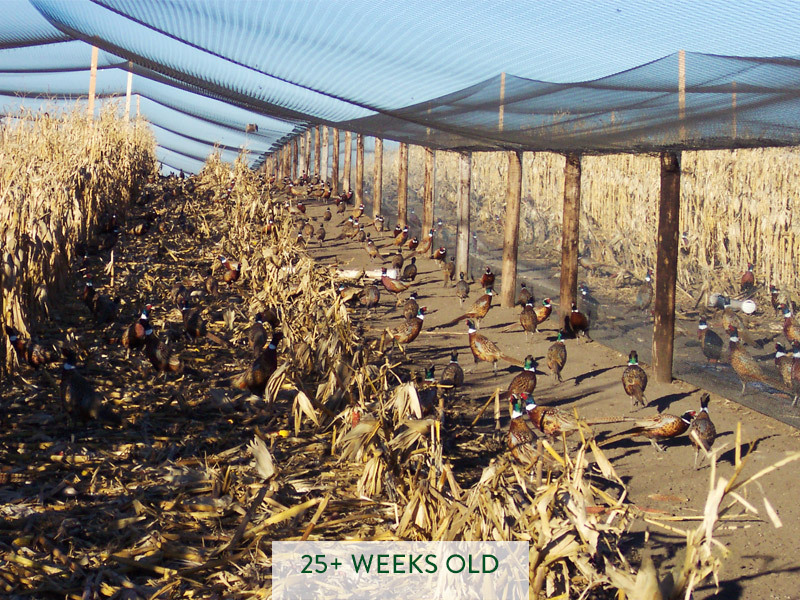 We give them up to 50-square feet per bird in our flight pens. With all that room, they are ready to perform in your fields and give you the hunt of a lifetime. 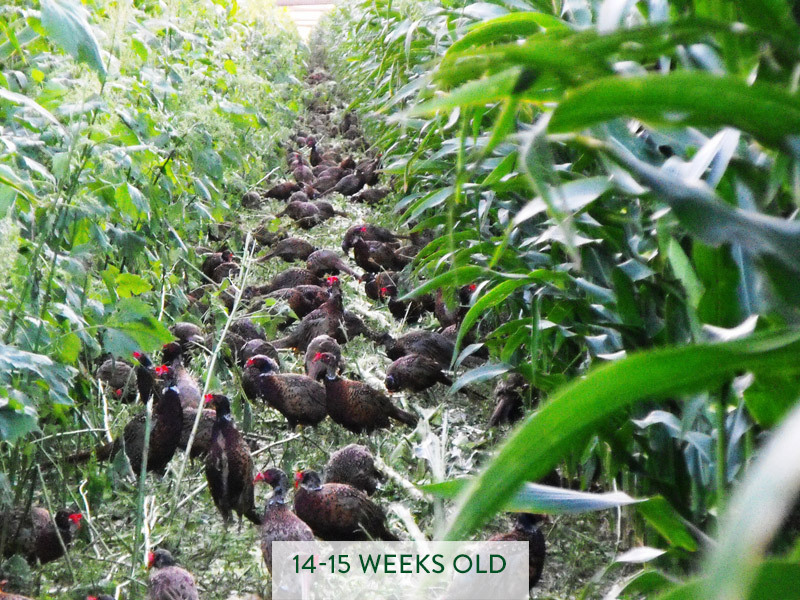 Our adult rooster pheasants are 16 weeks or older and are perfectly conditioned for release on your farm this fall. They have been raised to be strong flyers, survive in the wild, and are of course, very wild! These birds will help make your hunting operation a success because they will perform to you and your hunters’ expectations of what great ‘sporting birds’ should be. 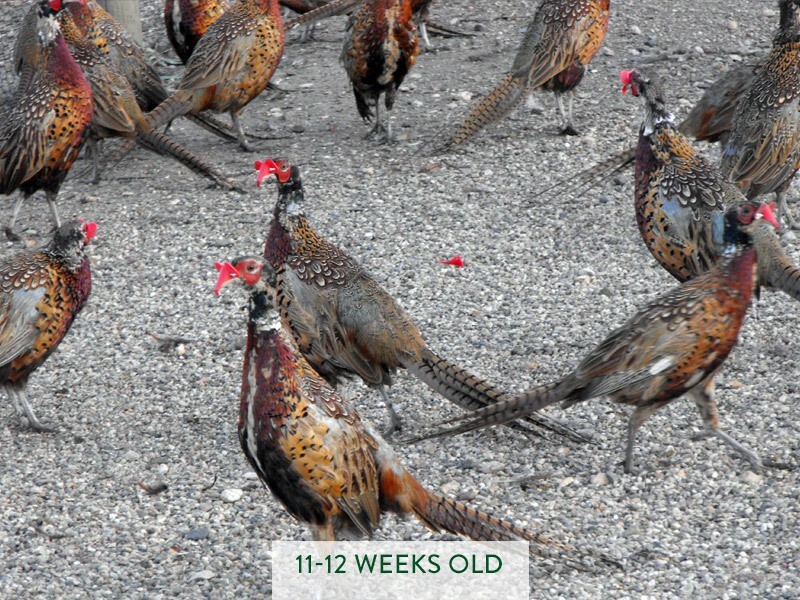 Adult pheasant hens make a great addition to the hunt. You may want to consider adding hens to your release program to bring more realism and ‘drama’ to the hunt. Not only are the hens offered at a reduced rate to our rooster customers, but having hens flush with the roosters, or even alone, adds an exciting and natural touch to your hunting program. Our adult hens are in the same great condition as our roosters because they’re raised the same way. 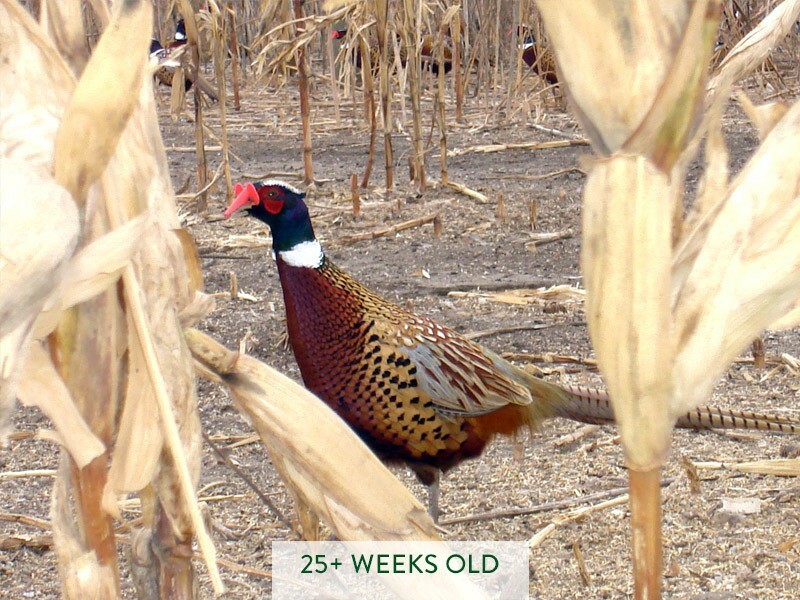 These hens can help build up your wild pheasant population! If you want to supplement your wild bird population with hens that will breed, lay, and have the opportunity to hatch a brood the same year, you should consider getting our Spring Release Hens. These hens are hatched the previous Spring and they are WILD. They have been outside (not in the barns) since they were 8-weeks-old in conditions the same as wild birds, ensuring they will survive. Our laying hens are available starting in May (depending on when we’re at a point where we can begin letting them go). We no longer clip wings on our layers anymore. SOUTH DAKOTA BIRDS FOR SOUTH DAKOTA HUNTING. WE OFFER THE BEST ADULT ROOSTERs AND HENS FOR THE MOST AUTHENTIC HUNTING EXPERIENCE. © 2019 Gisi Pheasant Farms. All rights reserved. | Website Design by McQuillen Creative Group.